Having a bank account is always worthwhile. The question for low-income individuals is whether it is worth the financial risk. Many people who live on low and/or fixed incomes find that it is. Being able to set up direct deposit can be extremely convenient. Today, many companies, such as car insurance companies and cell phone providers, are willing to offer no-deposit coverage/service when they are authorized to deduct automatic payments from a checking account. Carrying substantial amounts of cash is never a wise idea, and even low-income people have been known to carry two or three hundred dollars with them because they don't have a bank account. There are also low-limit credit cards for people with no credit or bad credit. Many of these require payments be automatically taken from a checking account. Even when that isn't required, however, it can be a handy way to make sure a credit card bill is paid regularly. While the low-income individual's balance may be modest, having a bank account allows that individual to conduct his personal business in the same manner as most people do. 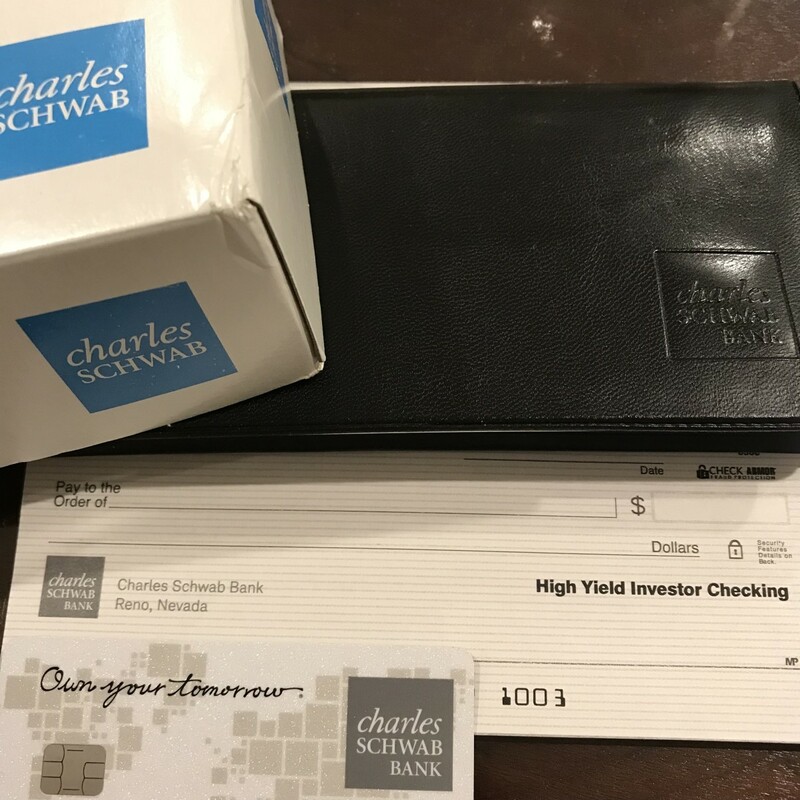 Being able to pay bills with a check, cash checks we receive, and say "yes" on applications that ask if you have a checking and savings account, are all things that having a bank account offers. The individual who has held an account with the same bank for a long period of time may have other advantages, as well. For example, in the event circumstances make getting (and paying back) a small, personal, one's own bank is often the best place to apply. Besides the financial and convenience benefits, there may be psychological benefits to the low-income person's having a bank account. People living on low incomes can often feel removed from "the mainstream". Everyone else may seem to have a bank account, but the low-income person may not. Everyone else may seem to have a credit card, but the low-income person does not. Everyone else seems to have a telephone, the low-income person may not. Other people may have cars, car insurance, and road service plans; the low-income person may not. Even ads aimed at people who may buy products or services seem to be aimed at other people to the very low-income individual. Living on a low income can, indeed, remove some people from "the mainstream". If there are small ways for the low-income person to have those basics in life that most everyone else has it can actually help that individual feel a little less removed from the mainstream of life. Living on a low or fixed income doesn't necessarily mean not being able to manage money wisely. Many low-income individuals do find a way to save a small amount of their income with each check. There are, however, potentially devastating risks when a person with a limited income has a bank account. The low-income individual has no margin for error when it comes to his balance. If he forgets that he made a $2.00 debit card purchase at a convenience store, and then makes a purchase that uses up his existing balance, there is the chance that the $2.00 debit purchase could cost him the usual $35.00 fee. If that same person happened to have mailed a check, and if that check came in once the account was already overdrawn, there could be a second $35.00, in addition to any fees charged by the company who had the check returned. If the check returned were a credit card payment the individual's credit card could then run up over-limit fees, late fees, and returned check fees. In other words, that $2.00 convenience store purchase could cost the individual in the area of $200 in fees. If more than one check were returned, of course, the fees would be run up even higher. The problem for many low-income people is that they live under stress, which can cause them to feel distracted and more prone to being absent-minded. That places even the most careful individual at higher risk of making a mistake with his bank account. There are, though, ways to eliminate the risk of a disastrous mistake. People with established, good, credit may be able to have some limited overdraft protection. Banks generally require a minimum income to offer this, but some low-income people do have the usual $1,000 a month minimum income. Those who do not can usually put a few dollars into their linked savings account, arrange with the bank that the savings account money will be transferred if an overdraft item appears, and this will eliminate the type of disaster described above. Another way to eliminate the chances of disastrous mistakes is to be very judicious in the use of both checks and the ATM debit card. Using the debit card for most things and saving checks for bills extends the time the check supply lasts. Many banks offers unlimited use of their own ATM's, as well as unlimited debit-purchase transactions. There is no doubt that living on a low and/or fixed income poses it's own set of challenges and demands on those who do, but a substantial number of elderly individuals manage to live on Social Security checks and yet maintain a basic level of sound, normal, money management. In fact, it may be a rare elderly person (particularly those who lived through The Great Depression) who runs up unexpected and disastrous bank fees. The amount of money the low-income person has to manage may be modest, but establishing a normal money-management/money processing foundation can be the first step on the way to a more comfortable financial situation. Low-income people are often quite skilled at shopping with great care. There is no reason they cannot exercise the same great care in managing a bank account.